It’s silly season again - that period when there is a higher than usual number of social engagements because the summer holidays have begun, the people are happy, the mood is frivolous and it’s time for summer flings and sun-downers! So where should you go to catch up with your friends and spark up new conversations while soaking up this vibe? We have selected a few or our favourite haunts among the myriad wonderful things to do in Cape Town this summer. Take a casual saunter between some of Cape Town’s hippest venues, as you sample South Africa’s finest wines. 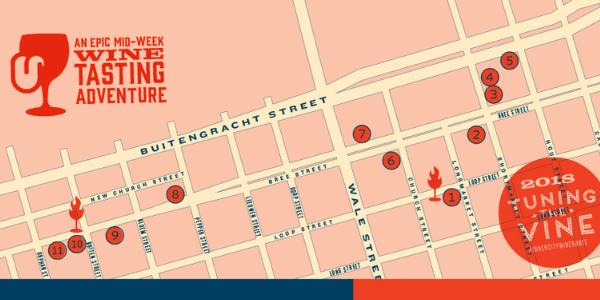 Winemakers set up shop at spots around the city centre, so you can take a leisurely stroll with your friends through the heart of Cape Town tasting the fruits of the vine. Your ticket (R200 – R220) also buys you a wine-tuning kit: a glass, a wristband and a map. Grab your buddies and put on your pumped-up kicks to take this time to stop and smell the bouquet (we are not talking about flowers) on Wednesday, 12 July 2018 from 05:30 PM to 08:30 PM. The Waterfront is an open mall with a range of shops, food and entertainment. People amble along enjoying the social ambience, sit and watch the world go by, or listen to local South African bands. Watch or dance in the Tango Marathon tomorrow afternoon from 3 PM – 6 PM. There are also a number of live events planned at the Waterfront this month, including a jam-packed summer children’s programme at the Zeitz Museum of Contemporary African Art. 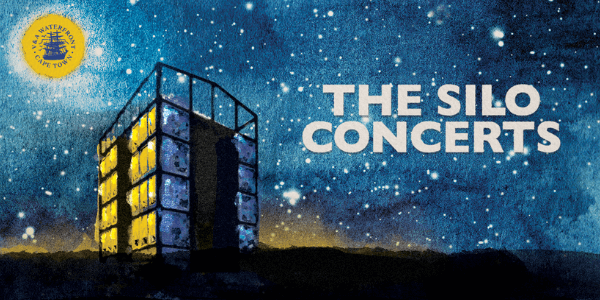 The outdoor Silo Concert Programme will showcase the South African Youth Wind Orchestra on 14th December 2018. While you shop, take a moment to see Santa, Mary Claus, Candy Cane dancers, Christmas Carollers, Jingle Bells and the beautiful Snow Fairy run amok in the mall. This joyful show is free of charge and starts at 8 15 PM – 8 45 PM, running from 14th – 17th December 2018. Catch a myCiti bus to Oudekraal on the way to Hout Bay. One of Cape Town’s most treasured secrets, this scenic spot is part of the Table Mountain National Park and forms the perfect setting for a summer braai with friends. 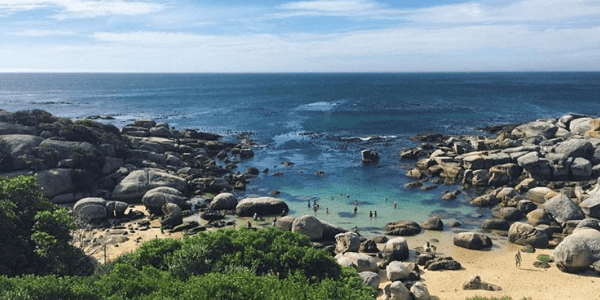 It’s a small cove sheltered by large boulders and has a safe swimming area for those intrepid adventurous souls. There are grassy areas for those who do not want to sit on the beach. It’s also a very popular scuba diving location where divers can see some fascinating local sea life. Adults pay R30 and it is open between 8 AM – 6 PM. 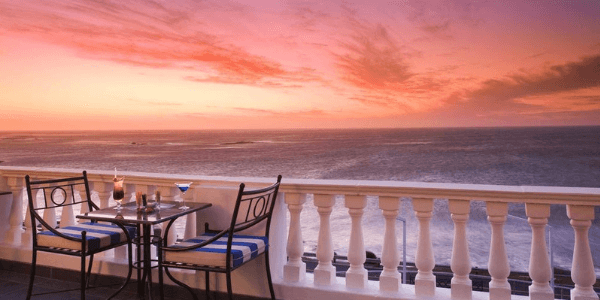 Enjoy a lavish sunset and live entertainment while sipping on delicious cocktails at the 12 Apostles. Catch up with family and friends as you gaze at panoramic views of the ocean at this jewel of a venue that is extremely popular with Cape Town locals and visitors alike. 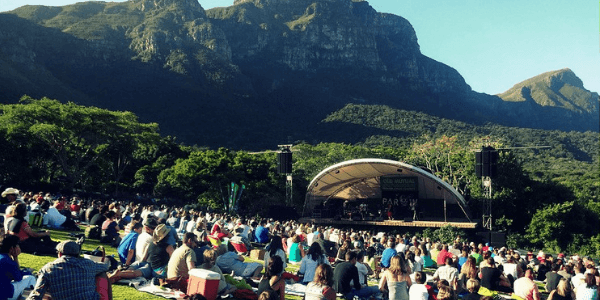 On Sunday evenings, Kirstenbosch National Botanical Garden will set the stage for open air concerts. Bring along your loved ones and a picnic basket – which can also be pre-arranged with the Kirstenbosch Tea Room or Moyo Restaurant – to appreciate the South Africa’s indigenous plants while enjoying some phenomenal music. This season, the line-up includes favourites such as Jeremy Loops, Mi Casa, Lira, Goldfish, The Parlotones, The Soil, Freshlyground, and Boney M among many other beloved artists. Tickets cost between R150 – R415 and they sell out fast in the silly season.